PTMSC Blog : Meet our amazing AmeriCorps members for 2018-19! Meet our amazing AmeriCorps members for 2018-19! 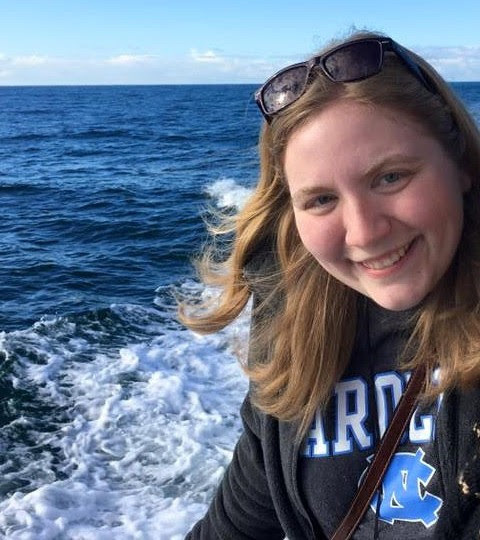 Returning from a successful season as Summer Camp Assistant is Ellie Kravets, now the AmeriCorps Natural History Exhibit Educator. 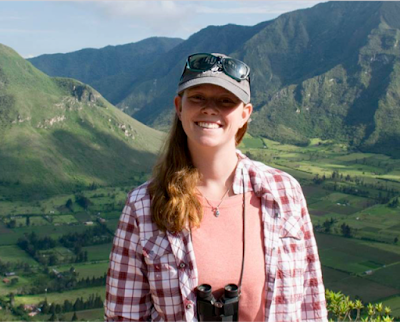 "I was born and raised in New Orleans, where I first fell in love with environmental education during the five years I spent handling raptors and writing choose-your-own-adventure programs as a volunteer/intern at the Audubon Zoo," says Ellie. "Fast forward through my undergraduate career at the University of North Carolina at Chapel Hill, where I worked variously as a costume rearer (i.e. : crane mother) for Mississippi sandhill crane chicks and dodging alligators as a field tech for a botany project in Jean Lafitte National Historical Park. "I graduated in May 2017 with a degree in Biology and Marine Science, and have spent the last year working as a naturalist in Indiana Dunes National Lakeshore to interpret the diverse biota of the dunes to children in the greater Chicago area," she says. "For all the time I've spent in other parts of the country, my family is rooted in the Northwest and the rocky coastlines of Washington/northern California have always been one of my childhood playgrounds. I'm thrilled to be able to transfer my long term passion for environmental education into a setting that has always captivated the best parts of my imagination." Mandi Johnson is the AmeriCorps Volunteer Program Educator. "I grew up in the deserts near Phoenix, Arizona," says Mandi. "Then I attended university in the mountain town of Flagstaff, where I studied Animal Science and Environmental Sustainability. "Despite never living on the coast, I always had a passion for the ocean," she says. 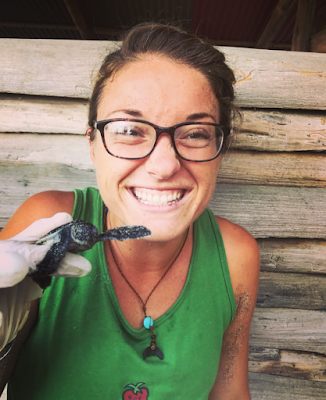 "This past year, I have been working as the research and biologist intern at a Sea Turtle Conservation Station in Montezuma, Costa Rica. While working in Costa Rica, I have especially enjoyed guiding tourists and volunteers to discover their own passion and niche in the conservation community, and seeing their excitement when they find it. I am excited to continue working with people and marine life here at the PTMSC." Marley Loomis takes over as the AmeriCorps Marine Exhibit Educator. "I grew up in Steamboat Springs, Colorado, and discovered the world of marine biology through many visits to coastal areas around the world," says Marley. "I studied ecology and evolutionary biology at the University of Colorado Boulder, with the goal to eventually move closer to the ocean. "After studying and conducting ecological research in Ecuador (studying piranhas and fishing activities in the Amazon), I decided to further pursue ecology and conservation of the wonderful world around us," she says. "I recently worked as an environmental educator at Camp Orkila on Orcas Island, and am thoroughly enjoying my time in the Pacific Northwest. My list of hobbies is long and diverse, but a few things that top the list are SCUBA diving, rowing, climbing, and backpacking. I’m looking forward to spreading awareness and excitement for conservation of the Salish Sea." Michael Siddel joins PTMSC as the AmeriCorps Citizen Science Educator. "I recently graduated from Oregon State University with a degree in zoology," says Michael. "I'm originally from Eugene and have thoroughly enjoyed growing up in the Pacific Northwest. 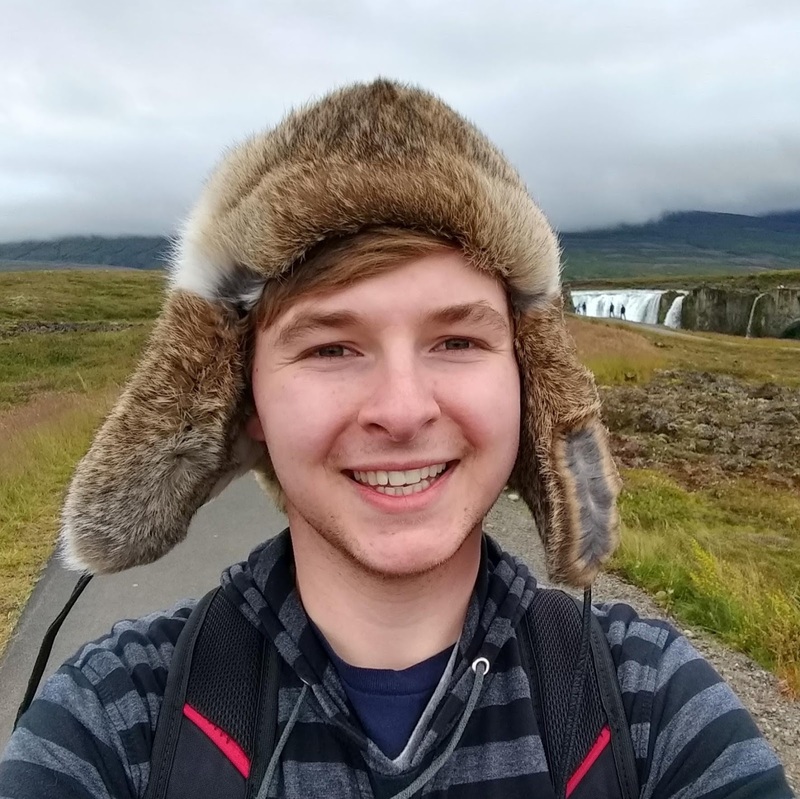 "I have always been fascinated by animals, but it wasn't until college that I discovered my passion for marine biology and conservation," he says. "I also really enjoy teaching, which is why I spent my last two years of college working as a math and science tutor. Since high school, I have been involved in a variety of volunteer projects, such as helping with sea turtle conservation in Costa Rica and teaching English in Tanzania. I also love hiking, bird watching and exploring the coast. I'm very excited to serve as the Citizen Science Lab Educator for PTMSC." Give Jefferson: Give Where You Live!